This dark purple plant is Boschniakia strobilacea. 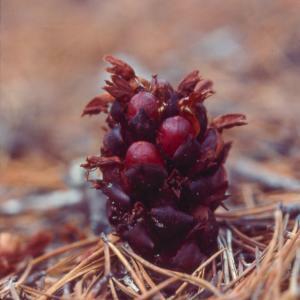 It's sometimes called ground cone, perhaps because the incurved purple leaves make the plant look like a cone--but above each leaf is a flower. 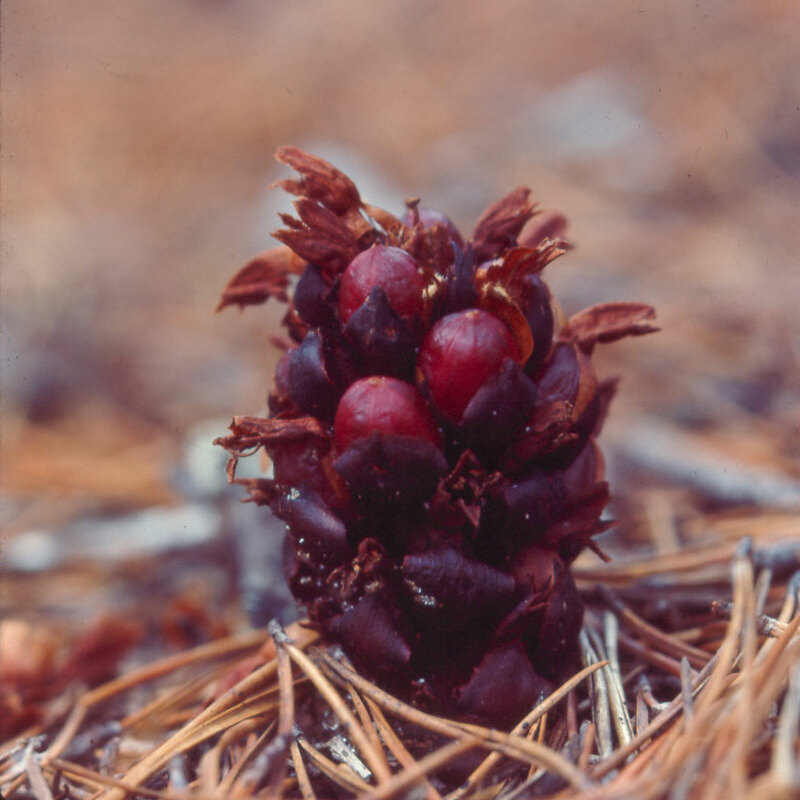 Boschniakia belongs to the Orobanchaceae (broomrape family). Boschniakia has no chlorophyll, and is parasitic on the roots of members of the heath family such as arbutus, manzanita, and salal. Boschniakia has no roots, and a large thick base attaches directly to the roots of the host plant. Return to the Boschniakia strobilacea page or the Parasitic Plant Index.